We waited until the last possible moment before writing this week's MondayMonday. After all, Sunday night's "debate" was going to be the best reality show since watching the Vietnam War over dinner each night on CBS. Little did we know it would be just as bloody and just as meaningless. "The first casualty in war," we learned in J-school, "is the truth." No one told us that the maxim applied to politics as well. But, even more disquieting, is that not only does the truth suffer, but reality as well. Politics operates in an alternative universe; a "fifth dimension beyond that which is known to man. It is a dimension as vast as space and as timeless as infinity. It is the middle ground between light and shadow, between science and superstition, and it lies between the pit of man's fears and the summit of his knowledge." With apologies to Rod Serling, that's only the half of it. Thank goodness that the advent of modern media was absent during most of the first 200 years of the American experiment. If it weren't, many of us would have opted for the insanity of King George instead. After all, this is farce. This is not Donald and Hillary, but Groucho, Chico and Harpo. Bert Kalmar and Harry Ruby couldn't have written it any better if they tried. Donald asks one question; Hillary answers another; the moderators can't control the mayhem; and it all devolves into a 21st Century version of "Why a Duck?" nificent fragments as the brothers, with the police and the opera management hard on their heels, pop in and out of the performance and transform Verdi into low buffoonery." (New York Times review of "A Night at the Opera", 12/7/35). What to do? Come out of the dark; eschew the shadows; know that we Americans are invincible when fueled by a vision of the future. That future does not come from Capt. Spaulding, but from ourselves. Besides, do you think Congress is going to pass a single piece of legislation endorsed by clowns? Finally, if all else fails, just click your heels together three times and you'll be back home again. Courts have a marvelous way of telling you that what you know, you don't really know, even if it was they who told you what you knew in the first place. 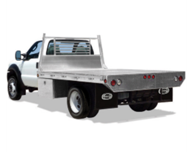 Take, for instance, the relationship between Labor Law 240 and flatbed trucks. Up until last week, this was truly a suspect classification in Labor Law causes of action. But, oh, what a difference a day makes. In Mylow v. City of New York, 2016 NY Slip Op 06461 (1st Dep't 10/4/16), the Court looks to a plaintiff who was unloading a stack of steel beams from a flatbed truck. While standing on the beams and wrapping a steel choke around them for hoisting, a piece of wood upon which the beams rested, called "dunnage"
broke and caused plaintiff to fall off the truck to the ground some 13-14 feet below. Supreme Court granted plaintiff's SJ motion, holding that he was working at an elevation and that some sort of protective device should have been utilized to prevent his fall. AD1 agrees, because defendant "failed to provide plaintiff with an adequate safety device to prevent his fall from steel beams placed on a flatbed trailer." Nay, nay says the majority. Berg does not apply because in that case, the rolling cargo was shifted by a forklift, not the absence of a safety device. Moreover, in Toefer v. LIRR, 4 N.Y.3d 399 (2005), the flatbed truck was only 4 feet off the ground and the Court of Appeals said that such a claim "did not present the kind of elevation-related risk that the statute contemplates." Now, that's all clear, isn't it? The rule is that if the flatbed is only 4 feet off the ground, no 240(1) and if it's 13-14 feet off the ground, 240(1) lies. What if it's be- tween 4 and 13 feet off the ground? Don't be a wiseguy.